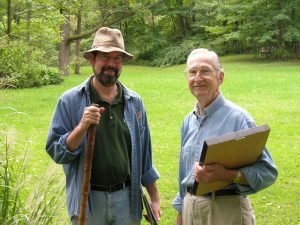 The late Dr. Frederick O. and Elfrieda Mackel expanded a neighborly legacy of preserving the Cedar Creek Corridor through ACRES Land Trust. The Mackels originally purchased land overlooking Cedar Creek in 1956, moving there from Fort Wayne so their four children could grow up exploring fields, creeks and woodlands. The Mackels’ neighbors and friends, Jim and Pat Barrett and Tom and Jane Dustin, helped found ACRES Land Trust. The Barretts’ land became the James M. and Patricia D. Barrett Oak Hill Nature Preserve. 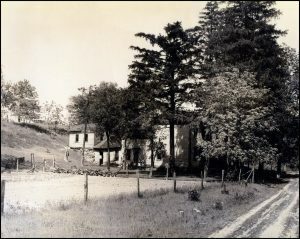 The Dustins’ land is now the Tom and Jane Dustin Nature Preserve, their former home the ACRES office. The Mackels’ property became the Mackel Nature Preserve along Cedar Creek. But the family was far from finished. Jerry Mackel eventually bought adjacent property and gave ACRES a conservation easement on it. He also helped ACRES acquire Little Cedar Creek Wildlife Sanctuary: 19 acres of streams, wildflowers and a floodplain forest. Now, Frederick Mackel’s bequest adds six acres, plus the Mackel house and barn, to the original Mackel preserve, bringing its total to 34 permanently protected acres. 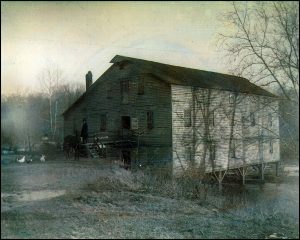 The Mackel Nature Preserve once contained the water-powered Stoner’s Mill, which operated from 1834 to 1910 near the confluence of Little Cedar and Cedar creeks. 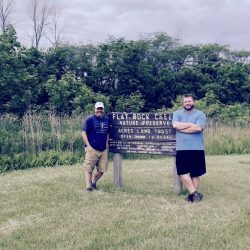 ACRES Land Trust owns 1,045 acres in the Cedar Creek Corridor, a 20-mile stretch of the creek from Auburn to the St. Joseph River near Leo-Cedarville. 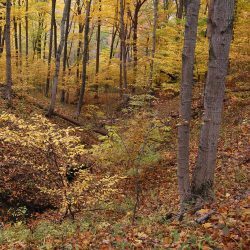 The trust holds conservation easements on another 31 acres in the area, and its partners own an additional 431 acres in the Cedar Creek Corridor. 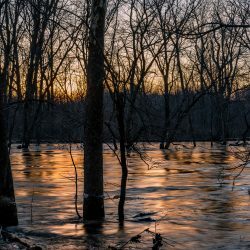 With help from ACRES, Cedar Creek in 1976 became one of only three rivers in the state designated under the Indiana Natural, Scenic and Recreational Rivers Act. The Cedar Creek Corridor is home to vegetation including the yellow lady’s slipper orchid, tall meadow rue and Allen County’s only documented populations of Indian paintbrush and yellow puccoon. Bobcats, turkeys, river otters, bald eagles and great blue herons, among other species, live there as well. Fredrick and Alfreda were my great aunt and uncle. Wonderful, loving folks who never lost sight of their humble beginnings. I’m proud that the family name will, in part, live on in this trust. It’s a way to ensure some of the beautiful resources Indiana has to offer will remain for generations to come. Thank you for sharing this article. Thank you to the donors. Thank you for sharing the article so that people are aware of all the goodness. Keep up the great work.